Spring is here, bringing baseball, warm sunny days, picnics, and pollen (actually, we’re not very excited about that!). Growing up on a farm, spring was one of my favorite times of the year. It meant seeing all the fruit trees with their colorful blossoms and starting to plant our gardens for all of the fresh produce we would enjoy later in the season. For us city dwellers, finding space for a garden and growing our own produce isn’t always possible, so we turn to folks like Jason Lundberg and From the Farmer. I'm very excited to share Jason's story of how he uses Device Magic to help him provide great customer service and bring the farmers market experience directly into his customer’s homes. When you’re looking for fresher produce and want to know where your food is coming from, a farmers market can be a great place to shop. But what if you live in an area where finding local foods isn’t easy? That’s something Jason Lundberg and his company, From the Farmer, are working to bring to people. Striving to make fresh, local food more convenient, From the Farmer provides subscription farm boxes and meal kits to customers in the Washington D.C. metro area. From the Farmer works with local and largely family-owned farms to curate the freshest farm box of fruits and vegetables each week. Often, food goes from harvest to plate in less than 48 hours, and From the Farmer always lets customers know where their food is coming from. By providing an online farmers market type experience, offering a wide variety of fresh, seasonal fruits and vegetables, consumers gain an opportunity to try new things, support local farmers and guarantee farm to table dining at home. 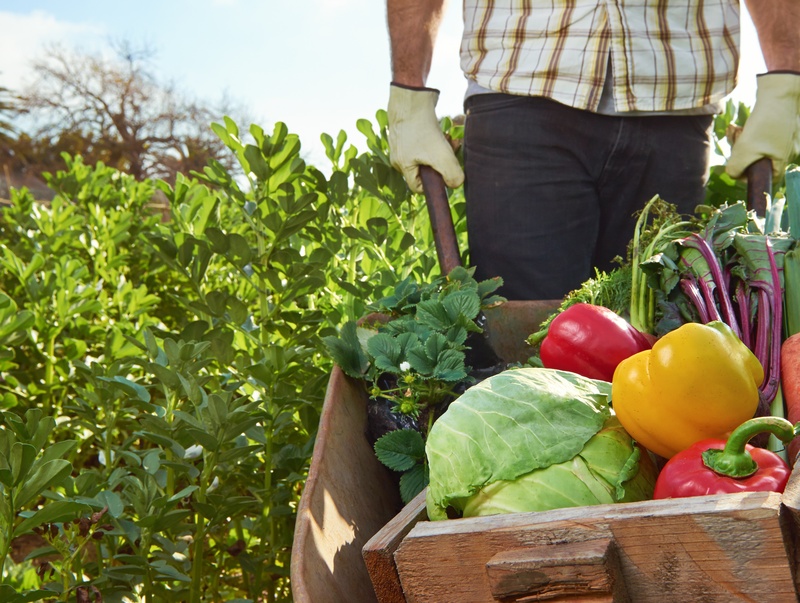 Lundberg, co-founder of From the Farmer, needed a way to better manage his delivery drivers while also amplifying the overall customer experience. From the Farmer manages distribution using their own trucks and drivers to hand-deliver each farm box to customer’s front doors every night between 11 p.m. - 7 a.m. Because each vehicle has multiple drivers during a shift, Lundberg had a problem tracking who was driving the vehicles at specific times using a process based mainly on traditional paperwork and Google Forms. Drivers would forget to sign in and out of trucks, which made it difficult if there was an accident or an issue with a delivery. Lundberg needed to find a more efficient solution for data collection and driver management. He was referred to Device Magic by another customer, and From the Farmer started using mobile forms to track drivers and deliveries. Drivers can now easily check in and out of their truck using Device Magic, which has greatly improved compliance. “95% of drivers are completing the sign in/sign out process now,” said Lundberg. Providing the best customer experience possible is one of Lundberg’s top priorities for From the Farmer. Using mobile forms has helped to improve customer service by giving the office immediate access to information from drivers out on the road. From the Farmer’s customer service team gets real-time updates from drivers on the status of deliveries. For example, if a farm box needs to be left in a different location than usual or if a driver is unable to complete the full delivery route before the 7 a.m. deadline, they can easily let the customer service team know so the customer can be updated. “Device Magic appealed to us because of the ease of use and flexibility,” said Lundberg. From the Farmer didn’t need an IT team or specialized technical training to use or set up Device Magic, which made it easy for Lundberg to hand off the task of getting started to the head of the customer experience team. In a recent survey, over 75% of customers said Device Magic mobile forms were easy or very easy to get started with. Using Device Magic has enabled From the Farmer to improve their operational efficiency and management while also focusing on providing the best possible customer experience. From the Farmer plans to expand their use of Device Magic to include managing quality assurance and orders in their warehouse. Connect with From the Farmer on Facebook and Twitter.